This stand features a chrome and heavy duty base with 4 acrylic shelves. Now includes ground shipping. 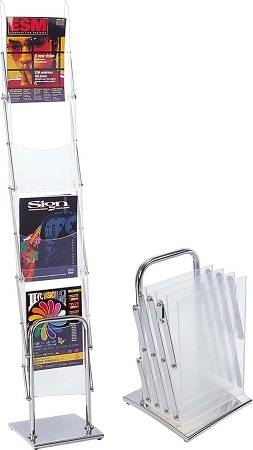 A great way to display your brochures at your next trade show or meeting. 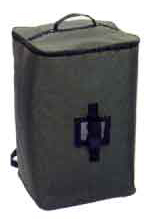 Includes a black canvas zippered backpack style carrying case.